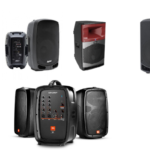 The Samson Expedition range of portable, battery-powered PA systems gets five new additions from compact to full-on PA solutions. The new Samson Expedition Escape+ is the smallest in new introductions to the Expedition range, set to replace the Escape with double the power in the same form-factor. 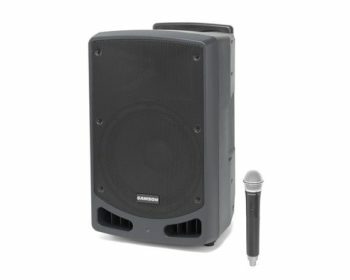 The Expedition Escape+ features a 6” woofer and puts out 50w of power, it features an internal battery pack allowing for up to 20 hours of continuous use. 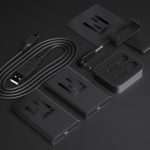 The system features Bluetooth connectivity allowing you to stream music from a mobile device, and a USB port for charging or connecting to one of Samson’s wireless microphone accessories. 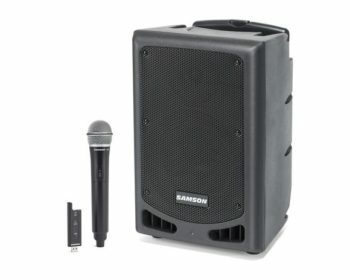 Next up in Samson’s new line-up is the Samson Expedition Express+, also a 6” woofer however delivering 75w of power and including a wired handheld microphone. The Expedition Express+ features a 3-channel mixer, a Mic/Line input, a line input and a further 3.5mm aux input. The mixer also features a 2-band master EQ for fine-tuning your sound. 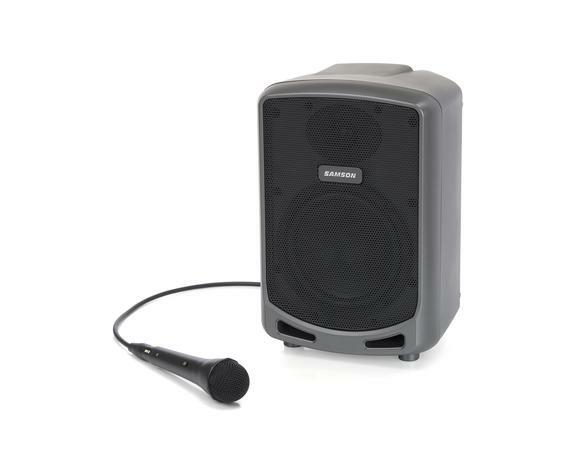 The new Samson Expedition Express+ also features the Bluetooth and USB connectivity for streaming or wireless devices and internal battery pack capable of going for up to 20 hours continuously. 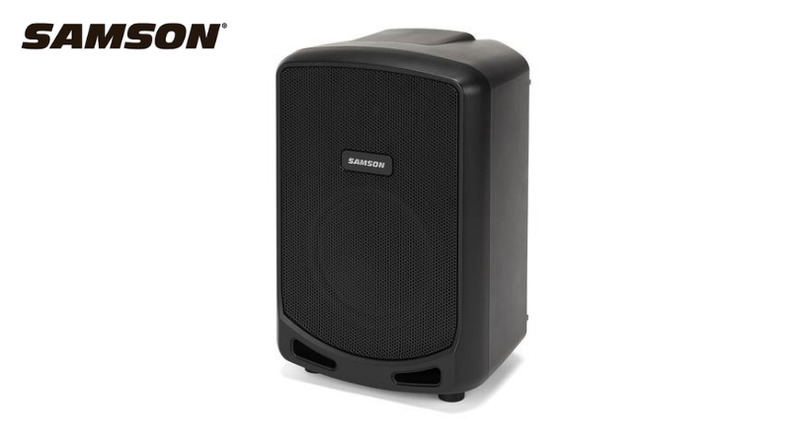 The Samson Expedition XP208W steps up a notch, featuring an 8” woofer and delivering 200w of power. 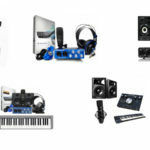 It’s also battery powered, features a 4-channel mixer with an internal reverb effect. This makes the Samson Expedition XP208W perfect for solo artists, small bands as well as other PA applications. The Expedition XP208W is portable and easy to travel with, it features a built-in telescopic handle and wheels. This system includes a Samson XPD wireless handheld system and a “voice-over” setting that automatically ducks the other channels when you speak. 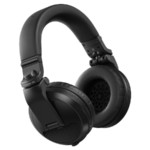 There is a second USB port for additional wireless input and the Bluetooth for streaming. The Samson Expedition XP208W is also battery powered and features a line output for daisy chaining multiple systems together. The new Expedition XP310W is a 10”, 300w battery-powered system that features Samson’s higher-end wireless microphone system, the Concert 88. 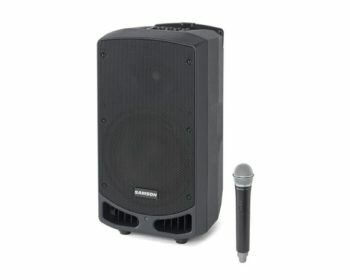 This has all the features of the Expedition XP208W, except it only features a 3-channel mixer and Samson have included their Concert 88 wireless handheld system and receiver built into the back of the speaker. 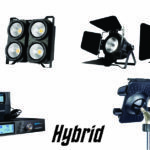 The Concert 88 is considerably better than the XPD wireless system and offers up to 100m of wireless operation. You can connect an additional XPD Wireless system to the USB port. Who is the Samson Expedition range ideal for? 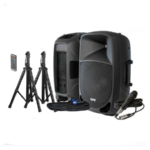 The Samson Expedition range has always been popular for everything from live bands and music education to fitness and house of worship solutions, it’s great that Samson have expanded their already huge range of PA system solutions. For more information check out the Samson website.